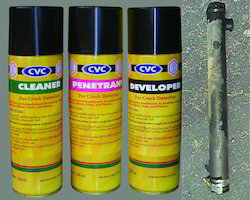 Our range of products include Cement Plants Lube such as CVC Multilube, CVC Crack Detector, CVC Belt Dresser, CVC Electrolube, Synol XA -100, Synol XA - 400 and many more items. Kit of 3 250-ml. Aerosol Tins with cloth & wire brush. Looking for Cement Plants Lube ?